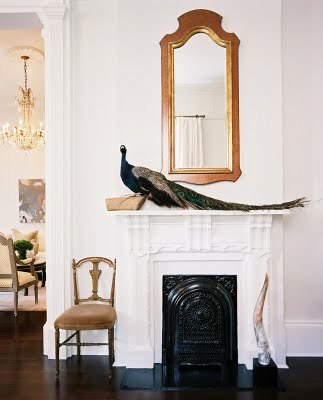 And no, I'm not going to post today about Chinoiserie Halloween decorating, but about the growing trend by interior designers using real dead stuffed peacocks. 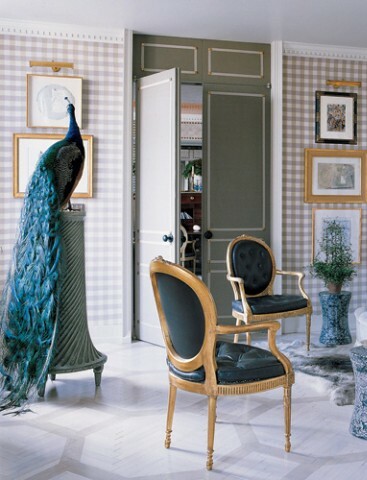 I love peacocks in Chinoiserie decor, but there are so many beautiful peacock fabrics out there. Do we have to have dead ones? 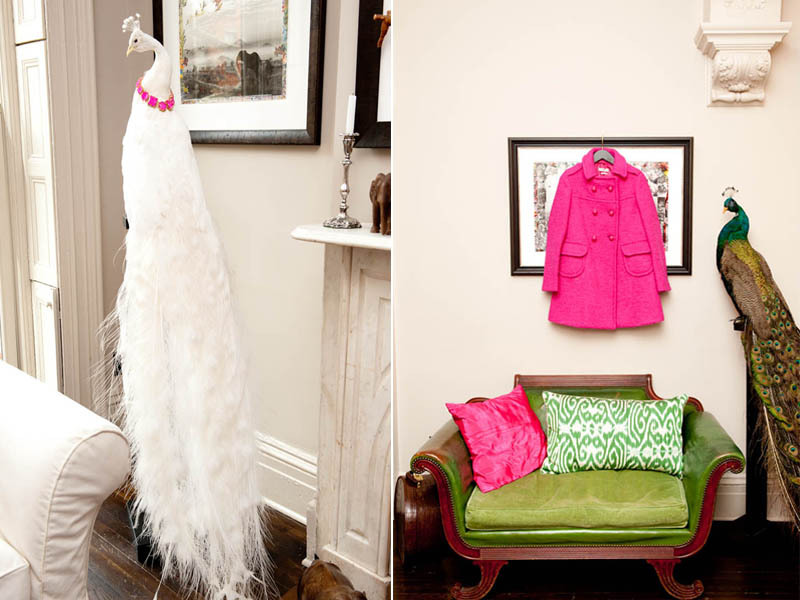 Deborah Lloyd, the President and Creative Director of Kate Spade, has a darling home with lots of preppy pink and green. 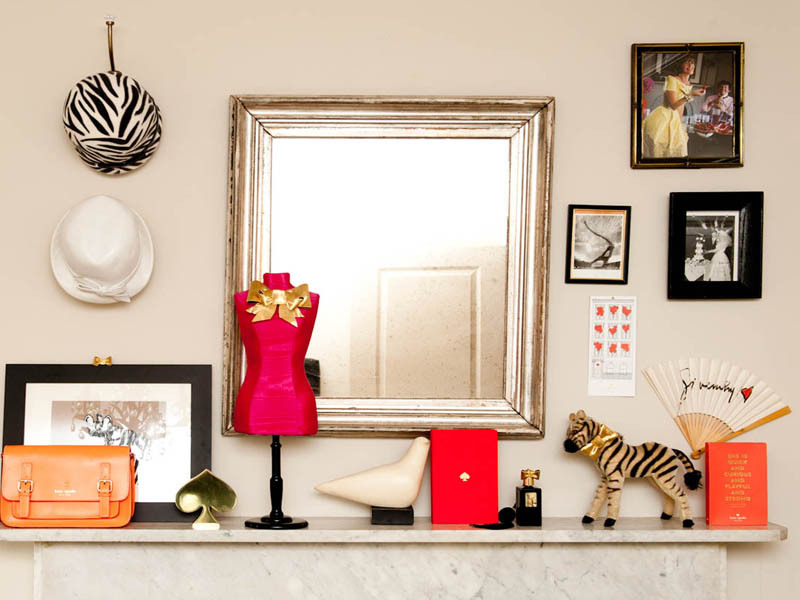 I love the mantel below. 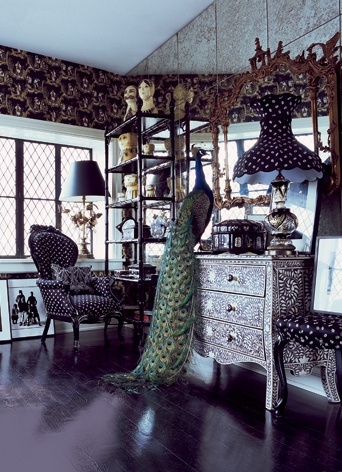 But she has upped the ante with not one but two taxidermied peacocks. One is even wearing a pink Kate Spade necklace. Deborah, I don't think this peacock is going out for a night out on the town. It's dead. Just say "no" to this trend. How is a peacock chinoiserie? 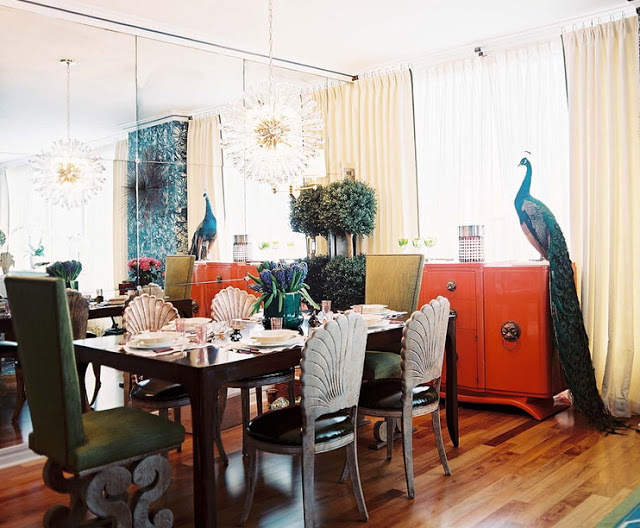 Peacocks are one of the most loved motifs in Chinoiserie decor, appearing on fabrics, screens, porcelains, garden stools, and rugs. Thank you!! This is such a gross trend. As a birdlover taxidermied birds are so hard for me to even look at. Also, this is hardly original at this point... it has been done everywhere. I agree with you completely. There is nothing beautiful about decorating one's home with dead animals. 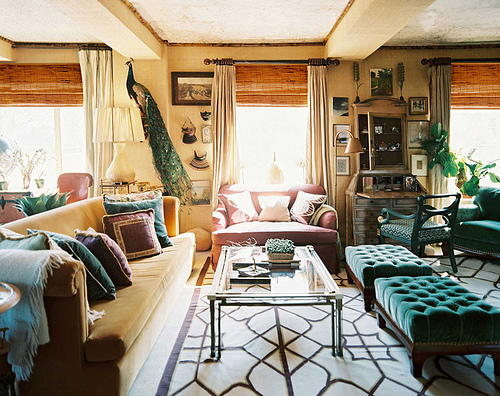 Rather than good taste, the photos betray the low level of consciousness of both the interior designers and their clients. Amen to your post and to the comments. Revolting. Now, find me a peacock pattern to needlepoint, and I will be elated!!! I am in total agreement! This is just awful on so many levels. I cannot bear it. So many other ways to use this motif as a design element.